So, best I introduce myself…. 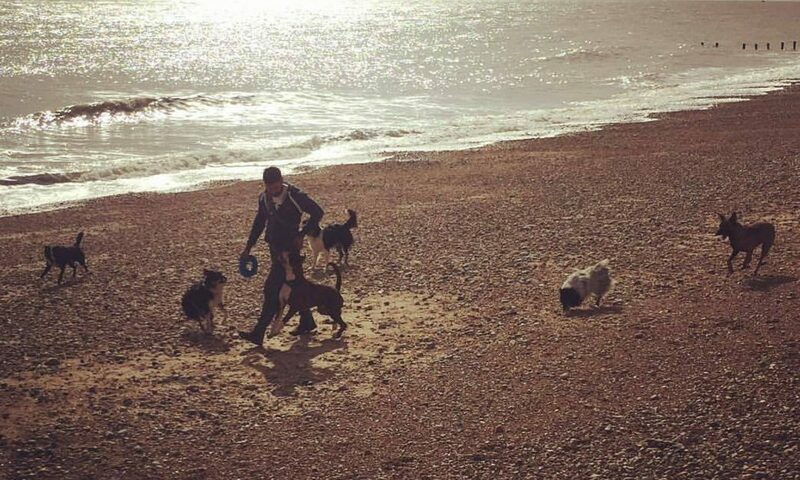 My name is Kamal Fernandez, in case you haven’t guessed LOL, and I am a full time professional dog trainer… I live in the stunning South of England, in East Sussex and share my life with my gorgeous Girls, my girlfriend Lois and my baby 7month old Neave…. I have 8 dogs, of varying breeds, including border collies, a boxer, a Malinois, a German Spitz and one of those ‘designer’ breed, my little Jack-a-poo… Sugarpuff! I have been training dogs for 26yrs…. it makes me feel incredibly old to think there are people able to vote, who are younger then that time span! Life just literally whizzes by…. I currently compete in Obedience and Agility, and I am training my Boxer for the sport of IPO. My passion is most definitely training dogs, and has been an obsession since the day I discovered this weird and wonderful world! I have been blessed to travel the World teaching and lecturing on Dog Training and Behaviour…. Currently my time is divided between my work, which mainly involves being a dog sports Coach. My students have competed at the top level in Obedience, Agility, Working Trials and IPO. I advocate and follow a reinforcement based approach to training dogs. Additionally, I have been involved in providing Animals for Television and Film…. one of the TV productions I was involved with included the Oxford Scientific Production ‘Dogs Might Fly’, the crazy concept to teach a dog to fly a plane! This blog will have information, ideas, opinions and possibly some humour…. Next PostNext Does it always have to end on a good note?